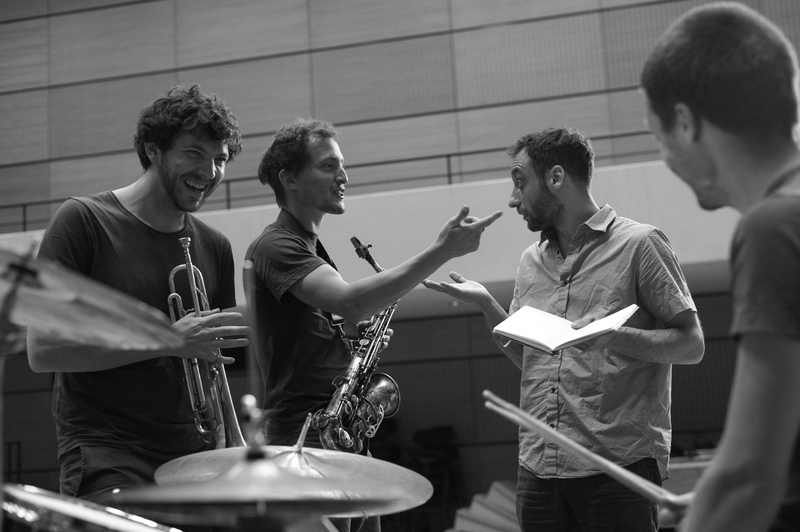 The French-Italian-German quartet “Die Hochstapler” (The Impostors) have in ten years of activity, three records and a constant presence on European stages, developed a highly personal way of combining improvisation and composition. Based on questions of language and communication, their music is developed collectively in extensive rehearsal periods. Card games, alphabets, mathematical structures as well as texts from Beckett to Kerouac form the basis for a radically free discourse. Four independent voices, free to suggest, pretend, agree, disagree or ignore at any time of the game, playful and ever changing.